Pine cones can be just as amazing as flowers! Here are a few favorites: Fir Cone. Herman Creek, Columbia River Gorge, OR. 6/2009. Immature Doug Fir Cone. Strawberry Mountains, OR. 8/2008. 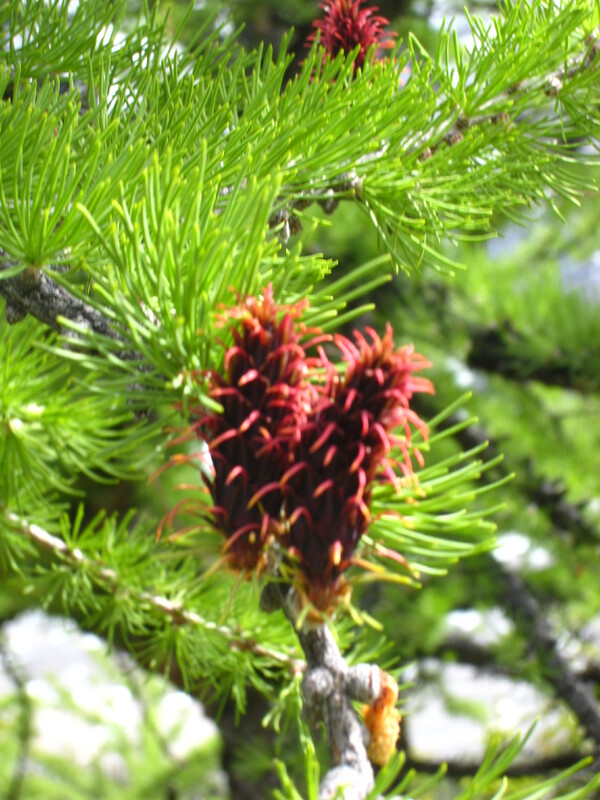 Doug Fir is the Oregon state tree. West of the Cascades 8 of 10 conifers in Oregon are Doug Fir. Larch Cone. Banff N.P., Alberta, Canada, 7/2011. The two Larch species in our region, the high elevation Lyall’s and the lower elevation Western, put on quite a show. Larch are the only conifer to lose its needles — after turning spectacularly bright yellow in the fall. Only to be followed with tufts of bright green new needles in the spring. 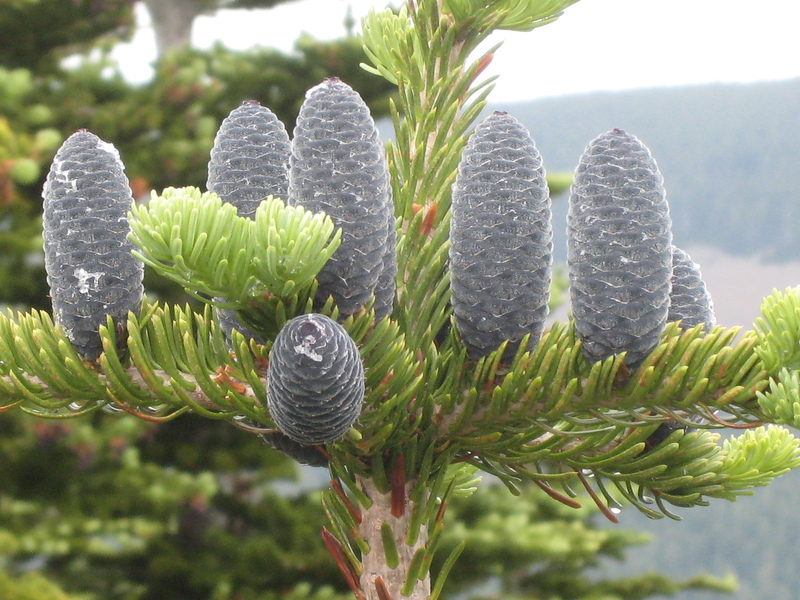 The young cones make a striking purple-reddish contrast to the needles. 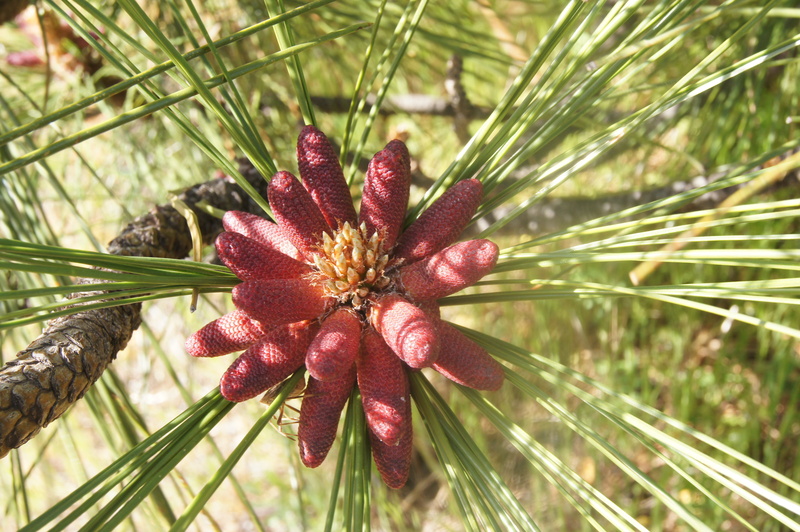 Male Ponderosa Pine cone. Tom McCall Preserve, Columbia Gorge, OR. 4/2013. The ponderosa pine is Oregon’s most common tree east of the Cascades. 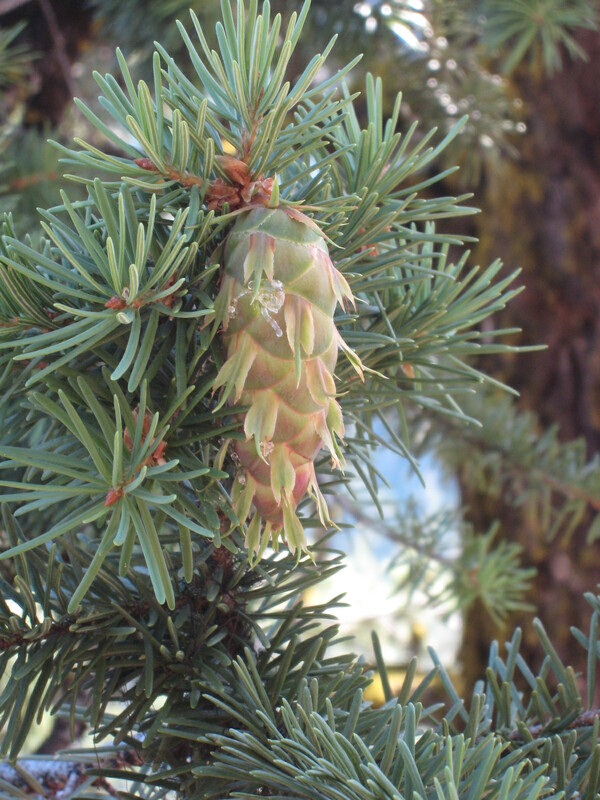 A quick primer on tree reproduction…the familiar woody cone is the female cone, which produces seeds. 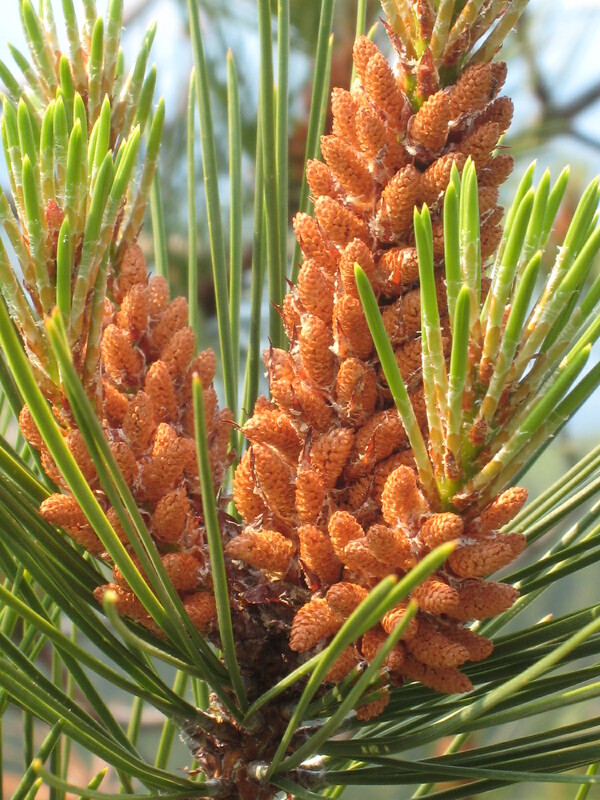 The inconspicuous male cones, produce pollen. Male Lodgepole Pine Cone. Bull of the Woods Wilderness, OR. 6/2008.